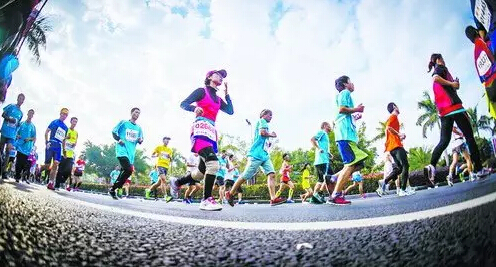 According to the Xiamen International Marathon organizing committee, the 2016 Xiamen International Marathon will be held on January 2, 2016 (Saturday) this year. The competition will consist of two events, the full marathon and the 5-km race. The number of participants for the two races will be set at 30,000 to 20,000. Supporting events will be held on the same day, including the Cross-Straits Cities Invitational Marathon Tournament and the National College Students Invitational Marathon Tournament. However, this year, the half marathon and the 10-km race will be held on December 12, 2015 (Saturday). The number of participants for each race will be set at 15,000, according to the organizing committee. The Roller Skating 10-km Race and Wheelchair Half Marathon will not be held this year.